The ITF World Tennis Tour M25 Event will be held on April 29 to May 5. Sponsorships are available for as low as $250 and include signage and reserved seating, depending on the level of sponsorship. 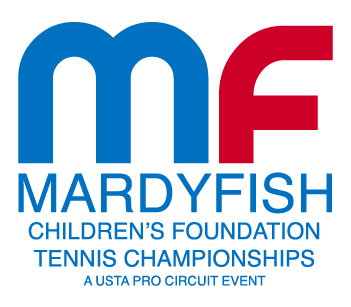 All sponsorship level details are available at www.MardyFishChildrensFoundation.org or by emailing co-tournament directors Tom Fish at Ttfish10s@aol.com or Randy Walker at RWalker@NewChapterMedia.com. Sponsorships that include on-court signage are due by April 8. This entry was posted in ITF World Tennis Tour, ITF World Tennis Tour News and tagged Mardy Fish Children's Foundation Tennis Championships, Vero Beach.